I have been meaning to post these since Colin sent them in but time on the blog has been a bit limited over the last week or so. Hopefully things are settling back to normal again now. 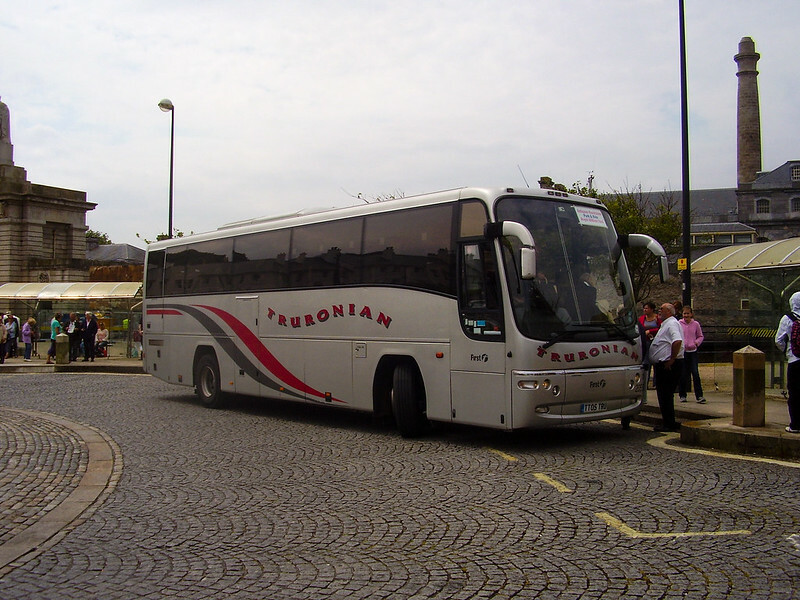 The PR4 service for the Royal William Yard was in the hands of these two fine coaches. I do hope there were not too many passengers expecting or needing low floor easy access buses although bearing in mind the main attraction was a program watched and by many older people its quite possible there were a few. 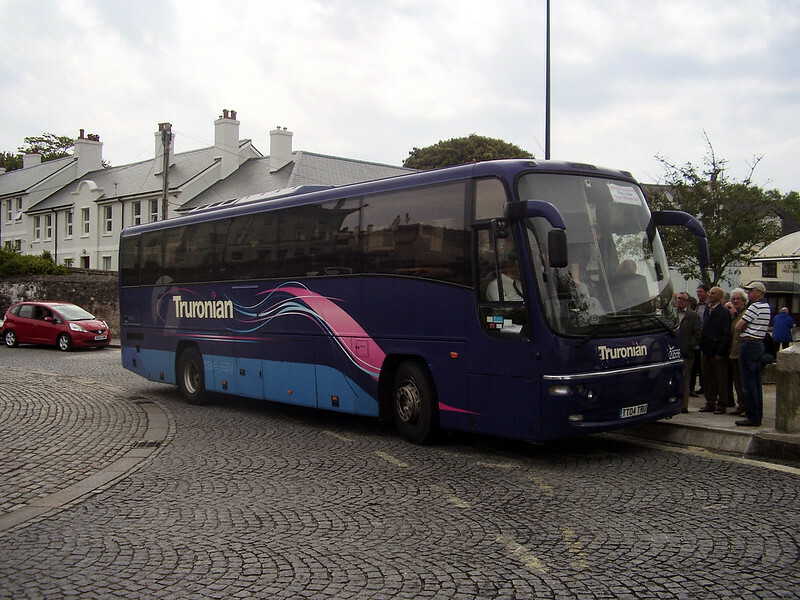 I believe that a Truronian coach has very recently been repainted into a new livery ?